If you’re flying Seair anythime this month, do check out their latest Inflight Magazine. I got a couple of photos on a spread. 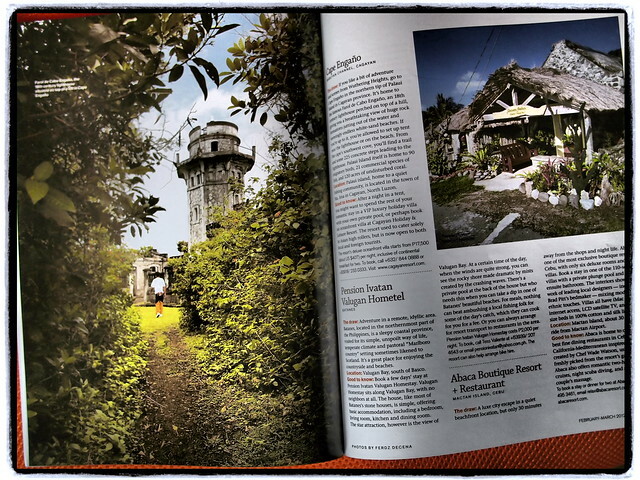 The Cape Engano lighthouse in Palaui Island, Cagayan as well as a photo of Pension Ivatan in Batanes. If you’re flying Philippine Airlines this month of March, don’t forget to get a copy of the March 2012 edition of Mabuhay Magazine, their travel and lifestyle Inflight Magazine. 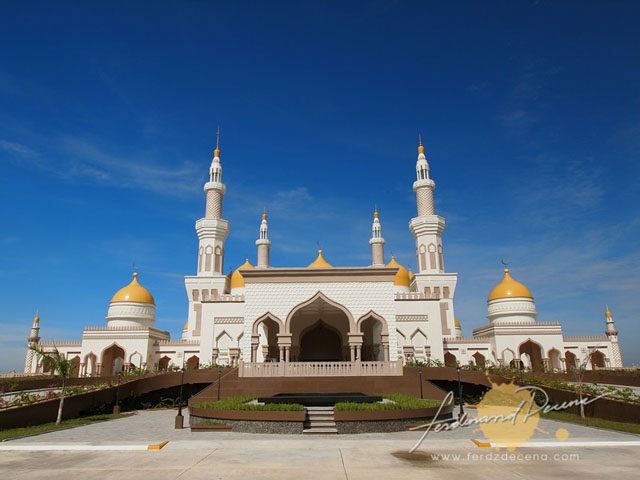 Inside, I wrote and took photos on Cotabato City entitled “Cotabato’s Pride”. Sharing here some photos the magazine used for the article. 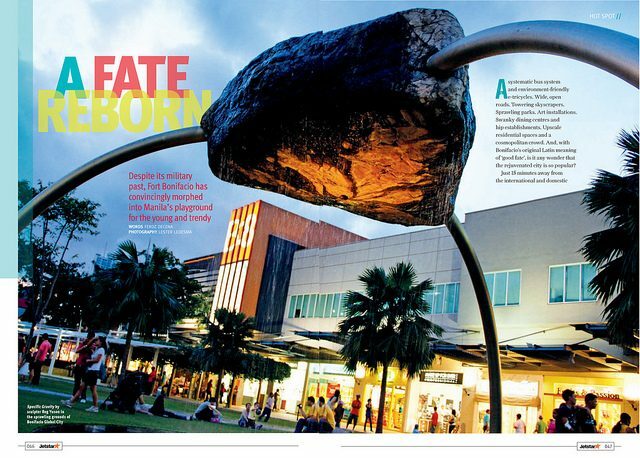 Mabuhay is probably the longest running Travel and Lifestyle Magazine in the Philippines. Now the inflight magazine is no longer confined inside the business class cabins on local flights or in the international flights of Philipine Airlines since last month as they have already gone commercial with the magazine now available at the stands. The January 2012 is a jam-packed 152 page with features on Beijing and Shanghai, interview with Robin Esrock and a section on “How to shoot festivals” especially on this month of festivities. 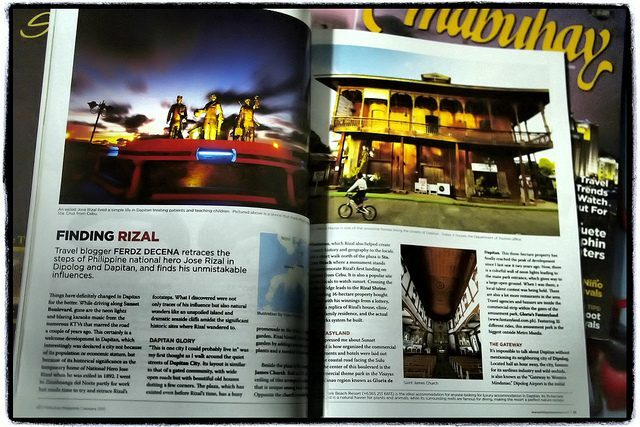 I also contributed a story with photos about Dipolog and Dapitan on “Finding Rizal” from my last visit there in 2011. Check it out when your onboard or at the bookstores and magazine stands. If you are flying Seair within the couple of months October and November. Don’t forget to check out the recent issue of Seair’s InFlight Magazine. Main feature here is Puerto Princesa. 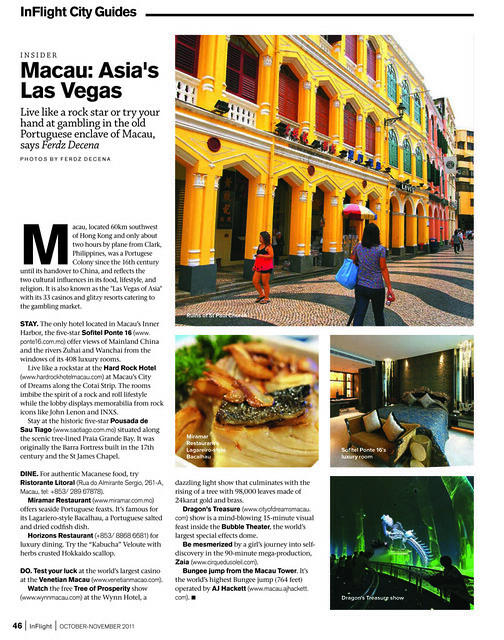 I also wrote a short article on Macau for their City Guides and featured some of my photos there. I’ve been slowly rebuilding my galleries on my new photos page and prioritizing a lot of my works first as an opportunity to build a much decent portfolio of professional works. 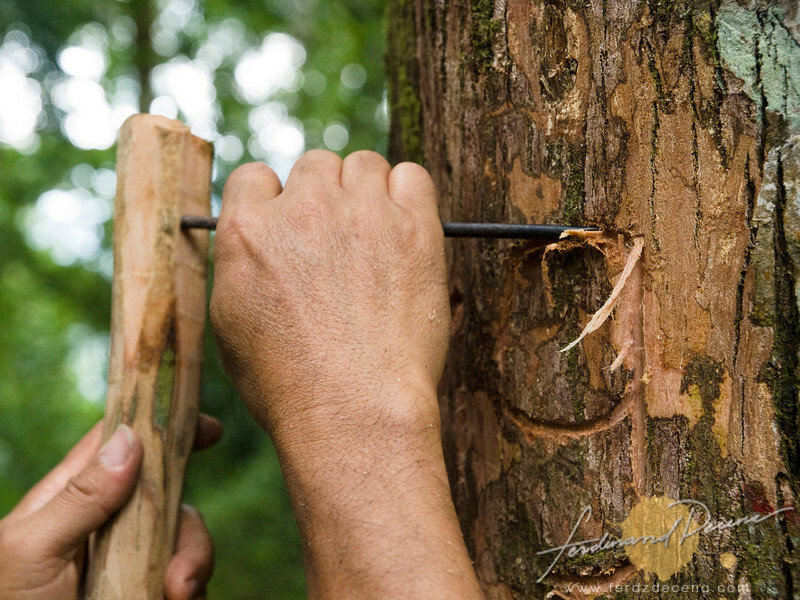 One project I really enjoyed working on before was the Primer on Forest and Climate Change in Nueva Vizcaya. Up now on the galleries are a few selected photos from the hundreds shot during that project. You can check the gallery here.